Rubaina Zaman (Col ’09) believes that a painting is never really finished, but she had to put that concept aside while rushing to complete an art assignment last spring. 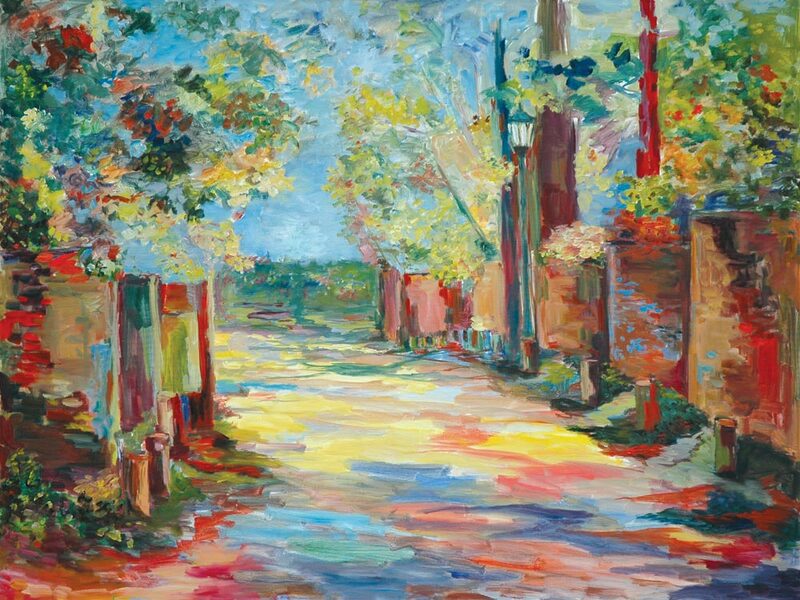 The impressionistic work eventually got a name—“Garden Alley”—and received top honors in the Alumni Association’s annual Student Art Contest. Zaman, a native of Bangladesh, will receive a $500 scholarship, and her work will hang in Alumni Hall for a year. Zaman worked from a photograph to produce the oil painting. As the paint has dried, the colors have become darker and more subdued, she says.